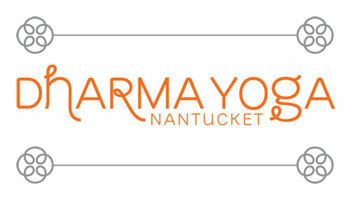 At Dharma Yoga Nantucket, we believe Yoga is for everyone. Regardless of your age, weight, or flexibility, Yoga will meet you where you are and support you in your growth through regular practice. All you have to do is “be receptive.” Derived from the Sanskrit word meaning union, Yoga enables us to achieve a balance of mind, body, and spirit. Yoga allows us to get in touch with our true selves, calming the nerves and clearing the mental clutter. By embracing all eight limbs of Yoga, we establish a foundation for a life that is centered and strong, one in which we are able to connect well with others and motivated to make wise choices.